To most runners an over-training injury is their worst nightmare. The reason injuries are so terrible to most runners is that they happen at the worst possible time. Since I have a sports medicine practice and it focuses on runners and triathletes, I can basically predict when I’m going to get the most calls from injured runners. All I have to do is look at my calendar and then look at the races many athletes in San Francisco Bay area will be participating in. The California International Marathon, the San Francisco Marathon, Vineman triathlon, Ironman 70.3 Santa Cruz, all of these are extremely popular race and lots of athletes get injured while training for them. Think about the way your training program works. You have a base training period where you just do lots and lots of miles to build up your aerobic fitness. Then you do a series of build phases where you ramp up your activity and then you drop your activity level back down to recover, and then build up your volume again. You repeat this cycle over the course of a few months. Then toward the end of your training program you start sprinkling in some speed work to add a little extra power on top of that strong base that you have built. It’s usually about this time, around the 4 to 6 weeks out from the race that is the period in which many runners seem to get injured. Of course, this totally makes sense. It is your final build phase. That is when you actually have the maximum volume and intensity of your training. It’s right when you’re actually putting in all of the most intense effort and the most training volume at the same time. So then, just as you start to see the light at the end of the tunnel, just when you’re about to start dreaming of your taper, disaster strikes. You get injured. But all is not despair. If you want to recover quickly you have to keep a positive mental attitude. Without question the most powerful organ in your body when it comes to recovery is your brain. And you need to have your brain on your team during this period when you get injured. One thing that really helps is to understand and fully appreciate all of the ways that your history as an athlete and your experience in training will help you recover from your overtraining injury. For years I have lectured at medical conferences about running injuries and subtle fracture patterns. And for years and I have argued to groups of physicians that you, runners, and athletes in general, should be treated differently. I actually argue against the idea of a “standard of care” which insists all patients should be treated the same, because the same treatment will work for most people. The most common representative idea of the standard of care among runners is the contention that you should wear a fracture walking boot for six weeks when you get injured. But all people don’t heal in the same time and I argue that athletes have the possibility of healing faster just because of their athletic activity and their history as athletes. The first thing to consider is your physiology. It’s the way your body works. Let’s face it, most runners are healthy people. We live a healthy lifestyle and that healthy lifestyle contributes to the proper function of your body and even your physiology. More than anything else an athletic history and a long course of training for races puts you at the front of the pack when it’s time to recover. The athlete’s physiology has all the tools primed to perform when needed. In the case of an injury, it’s really just repairing the same sort of damage that you have done for years during all of your courses of training. An overtraining training injury is really just a little bit bigger, more significant injury, and an unintentional one at that. But it still is just an injury and training is really just little injuries that you put into your body so that you can become stronger. By living the athlete’s life, running for years on end, your body has developed much better blood flow than the average person. Your body simply has more capacity to mobilize the cells that can repair damaged tissue. If you think about training for a race, what do you do? You go out, you run, you run hard, and you run until you feel fatigue. In the course of that effort you cause tissue damage. You get microscopic tears in the muscle fibers in your legs. You feel this over the next day or two in terms of muscle soreness. But what happens? Your muscles get stronger. They recruit new blood flow by developing additional capillaries to deliver more oxygen, to meet the demand, so that you can train harder. You go through this cycle of tissue damage and tissue repair every time you run and recover. If you have been running for many years, or even decades, it seems reasonable to expect that your body will develop a much better attuned capacity for healing damaged tissue. You’re not just training your muscles to get stronger. You are actually training your body to become a healing machine. So when you get a metatarsal stress fracture or a small tear in the Achilles tendon or a calf muscle strain, your body is fully prepared and acutely adept at repairing that injury. Any overtraining injury is really just a more severe version of the intentional tissue damage you cause on your training runs. Your body knows how to heal all of those little bits of damage you do on your daily runs. So now your body is going to be put to the task just with a slightly larger job of healing your overtraining injury. But do not be confused, your body is ready, capable and fully equipped to do the job. Let me begin by saying I’m not a nutritionist. 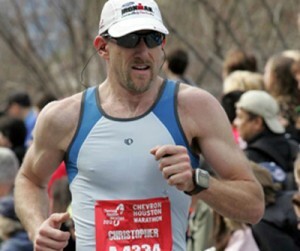 I’m just a sports medicine podiatrist, a runner and a triathlete. But, I have lots of friends who are runners and most of us eat similar things. Most of us also seem to refuse to eat certain things. Not because our taste buds are the same, but because we have a common goal. We want to feed our bodies with all of the nutrients it takes to heal the tissue damage we cause in training so we can recover faster and run more. For the most part we seem to agree on where those nutrients can be found. In large part we seem to share the idea that whole, raw, organic fruits and vegetables supply more nutrients than french fries. That doesn’t mean I don’t like the taste of french fries. But it does mean that I expect I’ll recover faster if I eat more foods that are high in antioxidants as opposed to those that are boiled in oil. It also seems that the vast majority of runners that I have talked to have some level of understanding of nutrition that is, let’s just say above the basic understanding of the food pyramid. It’s not that we all want to be nutritionists. It’s just that, we as runners all seem to want to learn as much as possible about the pieces involved in training so that we can train harder and run faster. And I would challenge you to pick up any running magazine and see if you can find a single issue that is devoid of nutritional advice. It would be a little bit about talking about sailing without discussing the wind. I don’t know about you but, I like to sleep. And by sleeping I do not mean laying in bed. I actually hate laying in bed. Any evening that I wake up in the middle of the night, I will allow myself 30 minutes to try to fall asleep again, before I get out of bed and start to work. In the last few months I have had dozens of nights where I actually got up and got out of bed sometime between 1:30 and 3:00 AM…just because I was laying there for nearly half an hour not sleeping. I hate to lay in bed feeling like I’m wasting time. But I do love to sleep. I definitely feel better when I’ve had a good night’s rest. I also recover faster when I’ve had a good night’s rest. Realizing that I don’t get stronger when I exercise, but I do get stronger when I’m resting, I place a premium on quality rest. And for the most part, that means a solid night sleep on the evenings that I train hard. Granted when you get injured it may be harder to sleep for a number of reasons. But realizing that it’s important you are more likely to capitalize on this severely underutilized resource. If you know that you get better and can train harder when you’re sleeping at night during your heavy training period, you will appreciate and understand that you simply have to sleep well if you’re going to recover as quickly as possible from your overtraining injury. Every runner knows it takes water to keep the body working properly and every runner understands that frequency is more important than quantity. No one drinks a liter of water right before a race. There’s a reason that water stops are present every mile or two during a marathon. No one takes a single water break halfway through a marathon to chug a liter or two. When you get injured, the same principles apply. You have to stay hydrated. Even mild to moderate dehydration can slow wound healing by halting cell development and cell migration. Whether we are talking about fibroblasts or white blood cells, or any of the other cells that are critical to healing injured tissue, they have to have water as their primary transport mechanism. When you run a marathon, if you get behind on your hydration, it’s almost impossible to catch up again…unless you walk. And you don’t want to walk, you want to run! And you don’t want to heal slowly, you want to heal quickly! So it is just as important to stay hydrated when you are injured. Even though you may not be sweating and losing fluids the same way as you do when you’re racing, you have to keep up your fluid intake to stay hydrated and optimize healing. So when you get injured you can use the skills that you use to stay hydrated to facilitate healing. Every runner seems to have some basic knowledge of biomechanics. In fact, many of the runners I talk to seem to have a more in-depth understanding of running biomechanics than many of the podiatrists I know. As a runner, you likely think about motion, the way you can modify it and how you can translate those changes into increased efficiency or speed when you run. If you’re anything like me you probably think about this almost every time you run. Maybe you think about this the majority of the time when you run. Your understanding of biomechanics as a runner puts you in a better position than the average injured patient when it comes to recovering from an injury. The reason for that is that you understand the implications of the way that your foot hits the ground and the forces that are transmitted throughout the foot, and specifically through any injured tissue. 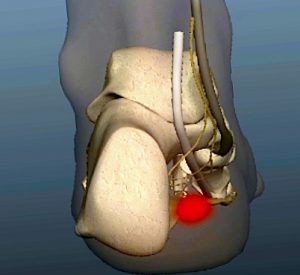 For example, you likely already understand that when you pronate your foot it puts more stress on the tissues at the inside, or medial aspect of the foot. You understand how pronation decreases the arch height and increases the stress and strain on all of those tissues on the inside of the foot and the arch. You likely also already understand that if you walk on the left side of the road facing traffic it will actually decrease the pronation on your left foot and relieve some of the stress on those structures on the inside of the left foot and the arch. This of course is part of the reason you switch sides of the road when you’re running, to even out the stress, to make sure you are balancing those forces to further reduce your risk of injury. If you already understand all of these basics of biomechanics, it’s easier for you to make decisions about how you walk, where you walk, and the shoes and inserts you use when you want to decrease the stress to any given structure on your foot. All of that knowledge that you developed in the course of your running and training will help you take the appropriate steps to heal faster. If you didn’t have the motivation gene as a part of your makeup, it would be nearly impossible to get out of bed, put on your running shoes and head out the door into the dark on a cold winter morning. Let’s face it, all runners are disciplined. All runners are self-directed and highly motivated. In my experience, runners have no problem following directions. Granted, I have had lots of runners that will do 10 times the number of exercises I recommend. It’s not because they don’t want to follow directions. It’s not because they are belligerent or rebellious. It’s because they are motivated. It is because they believe the exercises I have given them are not what they consider a real workout. They want to do more. So the fault is not with the runner. The runner is disciplined. Most runners are highly disciplined. If there is ever a fault it is usually with the doctor who has not explained in sufficient detail the reasons why a runner should only do 10 sets of a certain exercise or only stretch for 10 seconds. But when I recommend a specific program of recovery to an injured runner I have absolutely no doubt that they will follow it to the letter. All runners know how to follow a plan. Nobody runs a marathon without months of preparation. Nobody does an Ironman without at least a year of planning. Very few runners prepare for a race without following a specific training plan. The calendar is usually peppered with long runs, tempo runs, speed work, gym sessions and core workouts and other forms of cross training. These are not haphazard additions to the calendar. Each has its place and each one has a specific frequency to help the runner achieve their goal. Whether this is a plan that is been purchased online, one that’s been developed in person with a coach or one that was developed by the runner herself, the runner knows how to execute that plan. This exact same skill comes into play when recovering from an injury. You have to stop the inflammation. You have to stabilize the tissue and allow it to heal. You have to take certain steps in order to get it to heal as quickly as possible. It may not be as fun as watching your progression when your strength and speed are increasing in training, but it is a very similar process. Runners clearly have an advantage because they already know how to follow this type of process. Visualization is one of the most effective tools a runner can use. In fact it is a tool used by many different athletes in many different disciplines. There’s a very interesting often-cited study on basketball players and visualization. A group of basketball players was divided into three groups to test the player’s ability to make free throws. The first group of players practice for 20 minutes every day shooting free throws. The second group would not do any actual practice at all but would only visualize themselves successfully making free-throw shots. The third group of basketball players did not practice or visualize at all. So what were the results? There was a significant improvement in the number of successful free throw shots among the group that only visualized but did not practice at all. In fact their improvement was almost as good as the basketball players who actually spent 20 minutes a day practicing free-throw shots with a real basketball on a real basketball court. Runners visualize success when they train. They think about race day. They think about how the day will go. They think about running at a certain pace for a certain distance. They visualize what it will actually feel like to run at that pace on race day. They visualize successfully crossing the line and achieving their goal time. Visualization has also been used in medicine to manipulate the immune system and stimulate healing. There are many reports and programs of fighting cancer cells by using visualization techniques. Patients imagine and visualize their white blood cells eating and destroying the cancer cells. 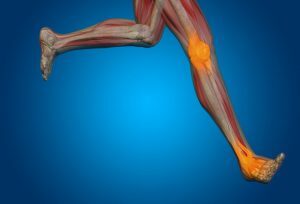 In the same way, injured runners can visualize fibroblast cells laying down collagen, repairing the little gaps in strained tendons. A runner can visualize osteoblast cells laying down new bone to strengthen and repair the stress fracture. 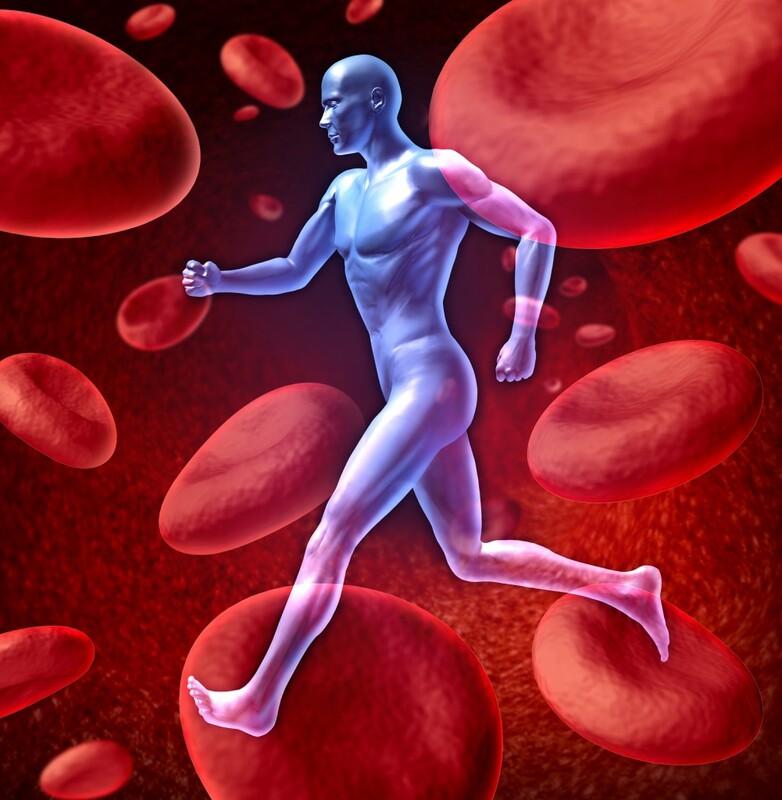 A healing runner can visualize endothelial cells helping new capillaries form to deliver blood flow to the healing tissue. The skills of visualization that have been developed and fine-tuned to help you achieve your racing goals can be used to facilitate your healing as well. You can’t run without being in tune with your body. You pay attention to your stance the way your feet hit the ground and your breathing. You feel the lactic acid building in your quads. And yes, you often feel pain. The capacity to notice and identify pain actually can help you recover faster. The reason for that is that you have to have a way to track your progress. You notice when pain changes. You notice when diffuse pain that was all over the left side of your foot suddenly becomes only one specific spot. You notice those improvements. In my experience, most normal, non-active, sedentary people don’t have the same capacity for identifying, locating or explaining their pain. If I ask them to tell me where their foot hurts they will often waive their hand loosely over a large region of the foot. A runner in contrast will put one finger right on the spot and say it hurts right here. Simple. The idea with recovery is not just to heal but to get back to activity as quickly as possible. With a runner that means you have to decide when it’s okay, when it is safe and when it’s a good idea to advance your activity to the next level. You have to be able to decide when you should stop using crutches. You have to decide whether or not you really have to keep wearing the boot. You have to decide when it’s okay to start doing some strength training. You have to decide when you can advance from deep water running in the pool to running on a treadmill. All of these decisions can be guided by the reduction in pain that you notice. That conspicuous absence of pain is an obvious sign that things are improving. When you notice the absence of pain you can use that as evidence that you should take the next step in your recovery. The truth is when you see a doctor and they’re trying to figure out when you should take the next steps, the doctor asks you questions. They ask questions specifically about your pain. Your doctor wants to know if your pain is decreasing or not. Then, the doctor will push on the foot and see if she can cause any pain. If not, the doctor becomes convinced that you’re ready for the next steps. Fortunately for you as a runner it’s pretty easy to figure out whether or not your pain is increasing or decreasing. All of your experience as a runner is going to help you decide when it’s best to move forward and advance your activity. Identifying pain, visualizing a successful outcome, following guidelines of proper nutrition and hydration are all skills that runners have developed and integrated into their lifestyle. When you take those skills that you developed and combine them with the physiologic advantages that you have built into the system with your healthy lifestyle, you’re really in a great position to heal your overtraining injury. Just remember, you are a young healthy active athlete in the prime of your life. Don’t let any doctor tell you that you’re going to heal at the same pace as every other person that happens to have a similar injury. We are all different. We all have different strengths and weaknesses. Fortunately, as an athlete you have more strengths than the average person.